Top Rated Foriegn Language Tutors in San Francisco, CA! Welcome to San Francisco’s top-rated private foriegn language in-home tutoring service! 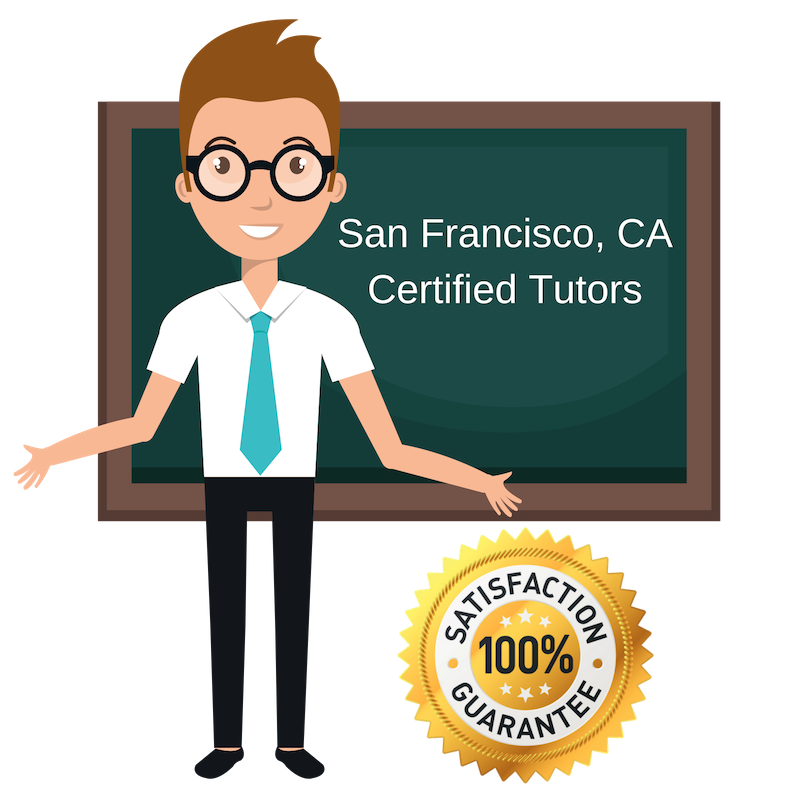 All of the following San Francisco foriegn language tutors are certified by Varsity Tutors, the leading tutoring agency in the country! All San Francisco foriegn language tutors have been background checked, been interviewed, had mock writing tutoring sessions, and been trained by professionals. We guarantee you will love your local San Francisco foriegn language tutor or your money back! Get information regarding a top-rated foriegn language tutor today! I am a current resident of San Francisco, CA offering tutoring in foreign languages. I was born and raised in France but moved to the United States three years ago. I maintain a fierce passion for travel and experiencing new cultures that was inspired by my study abroad excursion to Shanghai four years ago. During my study abroad program, I had the opportunity to travel throughout China, discover hidden gems of Chinese culture, and fall in love with Chinese art. As a law student, I sought a new way to combine my passion for law and my newfound love for art, so I ventured to the University of Arizona Law School to study international trade and business law. Today, I work with a French business which sells and collects French artwork and antiques and in my spare time, I tutor French! I love tutoring because it is yet another way for me to interact with students of different cultural backgrounds and to share my own culture with the world. A native speaker of both English and Chinese, I grew up with a passion for languages. I have just returned to San Francisco, CA after spending five years working in Shanghai. I worked as a teacher of middle-school and high-school age students, teaching both Chinese and English as a second language. I am currently working as a private tutor for foreign languages in San Francisco, CA and am happy to work with students of any age! In addition to studying languages, I studied economics and comparative area studies at the bachelor’s level at Duke University and attended the French Culinary Institute for pastry arts. A native of France, I am currently teaching and tutoring in San Francisco, CA. I aim to help students improve their understanding and handle of foreign languages, particularly French. I was born and raised in the Pays d’Auge area of Normandy, France. I attended the Université de Caen for my bachelor’s degrees in English and Spanish commerce and completed my master’s degrees there as well. I have been teaching languages for more than a dozen years and have done so with students ranging from middle school to college ages. I thoroghly enjoy teaching foreign languages and recognize that students often have very different styles of learning; I always try to be patient and empathetic when workined one-on-one with students, and love when I can get my students excited about learning. Guitar playing, Sports (Soccer), Working on cars, French cooking, spending time with family and dog. I am a private tutor helping students in the subjects of reading, writing, and foreign languages here in San Francisco, CA. I am a strongly motivated and compassionate tutor who is happy to work with young students and creative minds. I previously studied the musical arts (classical voice performance) at the undergraduate and graduate level, but have additional experience with English, history, and psychology from my studies in the International Baccalaureate Program. I enjoy helping students work on oral presentations, papers, and general writing and reading competency. My coursework in the arts has given me a very creative mindset which equips me with a style of learning reliant on the imagination and inventive problem solving. I think open-minded learning is especially important for learning and teaching foreign languages, which requires much more than simply translating vocabularly. I am a private tutor located in San Francisco, CA. I am presently free to help students in a number of subjects, including the sciences, English language arts, and foreign languages. While I received a bachelor’s degree in psychology and a master’s degree in nursing, I also completed a generous amount of coursework in Spanish literature for my undergraduate minor in the subject. I am very comfortable working with the Spanish language and am familiar with the technical and artistic components of both English and Spanish literature. I am happy to work with students of all backgrounds who wish to improve their English or Spanish skills.